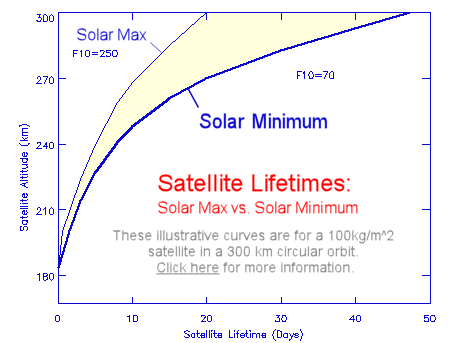 Ten years later, solar minimum is back with renewed weakening of the sun’s magnetic field and the solar wind. Again, it’s a “perfect storm.” A panel of experts led by NOAA and NASA recently predicted that the current minimum would reach a nadir in late 2019 or 2020, likely matching the record-setting minimum of 2009. 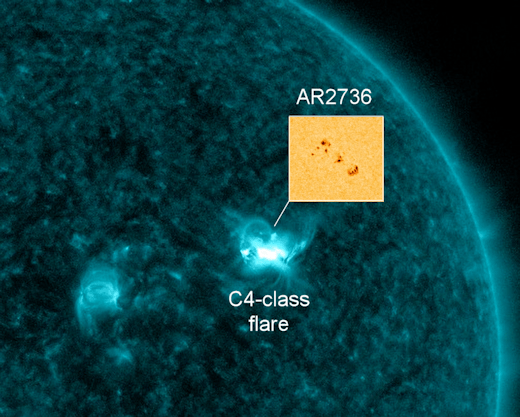 If they’re right, cosmic rays will continue to increase, with a new record possible in the near future. Four years of overlapping data from neutron monitors and cosmic ray balloons agree that atmospheric radiation is increasing again. 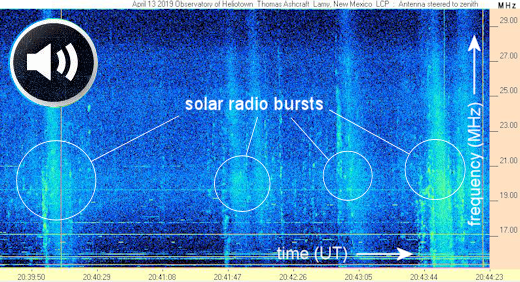 Cosmic rays cause “air showers” of secondary particles when they hit Earth’s atmosphere. 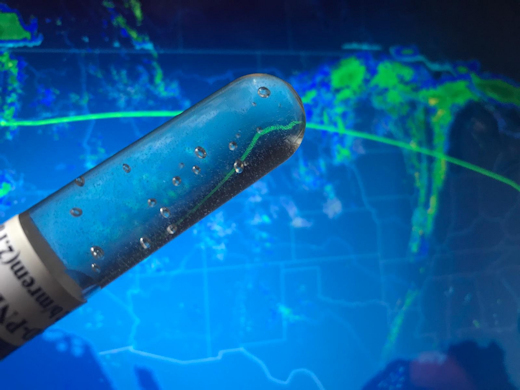 Indeed, this is what neutron monitors and cosmic ray balloons are measuring–the secondary spray of cosmic rays that rains down on Earth. 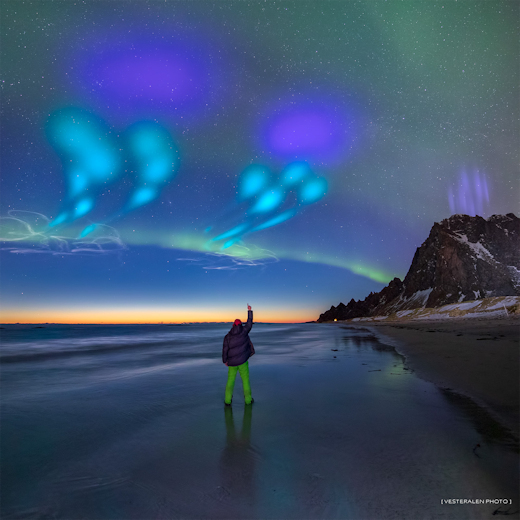 April 17, 2019: Want to experience space weather? Just step onboard an airplane. 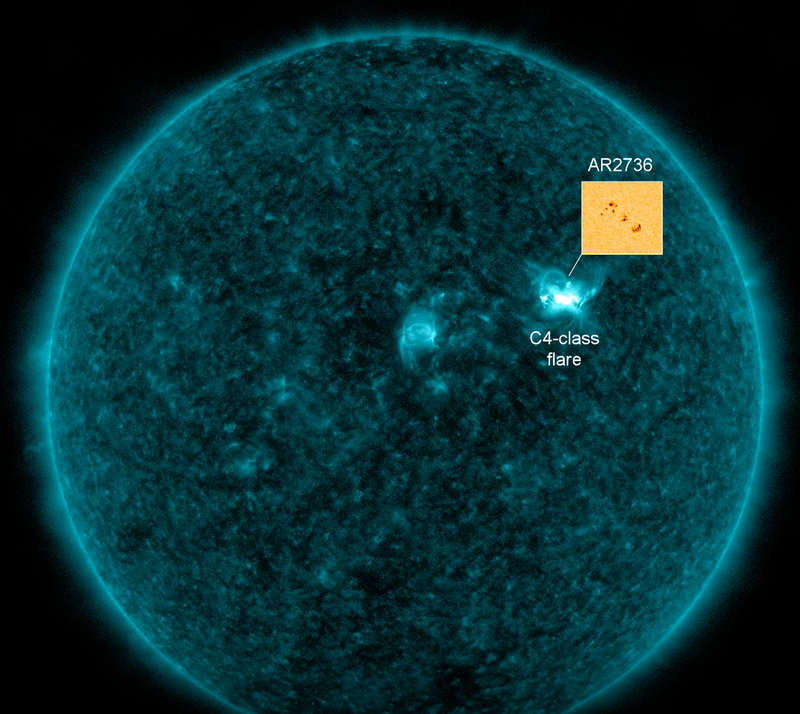 At typical cruising altitudes, cosmic rays from deep space penetrate the hulls of commercial jetliners, dosing passengers with levels of radiation comparable to dental X-rays. 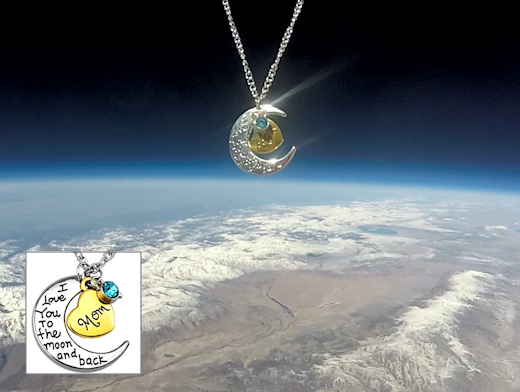 To measure this radiation, Spaceweather.com and the students of Earth to Sky Calculus have been flying cosmic ray sensors onboard airplanes over 5 continents. Our latest results show something potentially interesting about the continental USA. During these flights, we measured more than 20 uGy of neutron radiation–the whole body equivalent of two panoramic dental X-rays. That’s significant, but no worse than a trip to the dentist’s office. The interesting thing is how these values compare to other places we’ve flown. Our neutron chambers have traveled more than 40,000 miles on 14 flights over North America, South America, Asia, Europe, and Africa, all with typical altitudes near 35,000 feet. 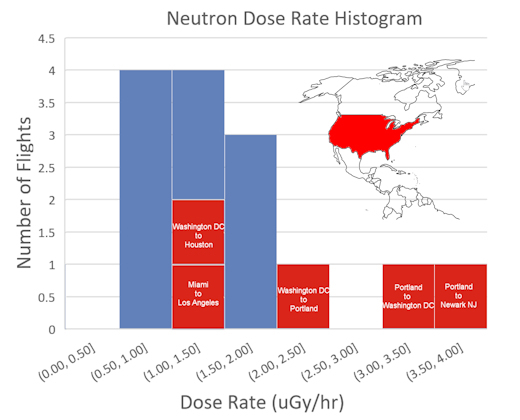 So far, neutron dose rates have been highest in one place: the continental USA (CONUS). In this histogram, flights over CONUS are color-coded red. Other parts of the world are blue. The distribution’s red tail shows the tendency of US flights to “out-neutron” international flights. This may be a result of small-number statistics. If so, the anomaly could disappear as more data are added. Our neutron survey is continuing, so stay tuned. March 28, 2019: Close your eyes and relax. Daydream about something pleasant. In this state your brain is filled with “alpha waves,” a type of electrical brainwave associated with wakeful relaxation. “Many animals have magnetoreception, so why not us?” asks Connie Wang, Caltech graduate student and lead author of the eNeuro study. This video shows changes in alpha brainwave amplitude following rotations of an Earth-strength magnetic field. 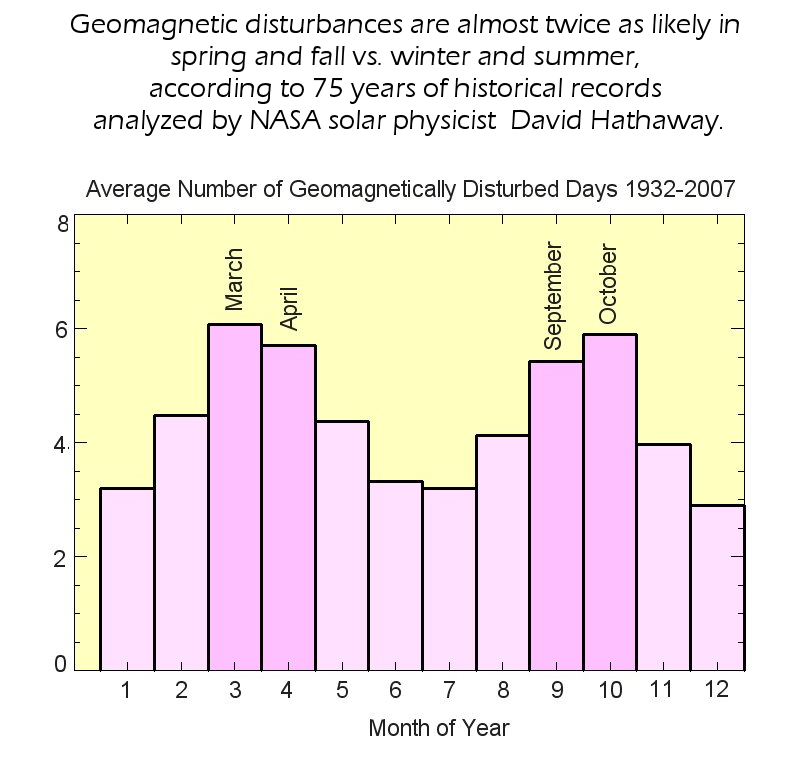 On the left, counterclockwise rotations induce a widespread drop in alpha wave amplitude. The darker the blue color, the more dramatic the drop. 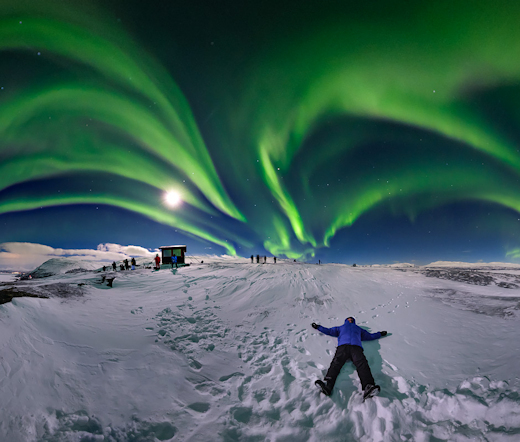 When coronal mass ejections (CMEs) and streams of solar wind reach Earth, they cause our planet’s magnetic field to shake, moving back and forth. During the Carrington Event of Sept. 1859, for instance, compass needles at mid-latitudes swung back and forth by several degrees (ref). The Caltech study didn’t look at such small changes, however. Magnetic fields inside their test chamber shifted plus or minus 90 degrees at least. 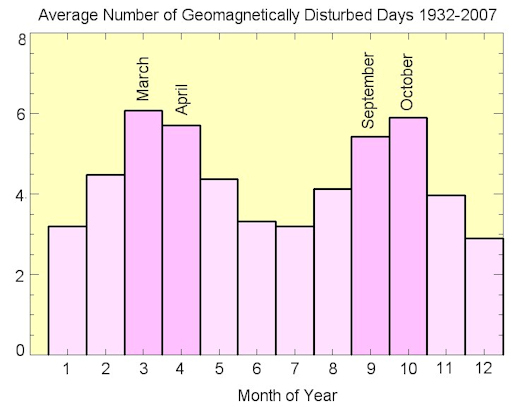 As a result, we do not yet know if human magnetorecepton is sensitive enough to detect the more subtle changes typically associated with space weather. 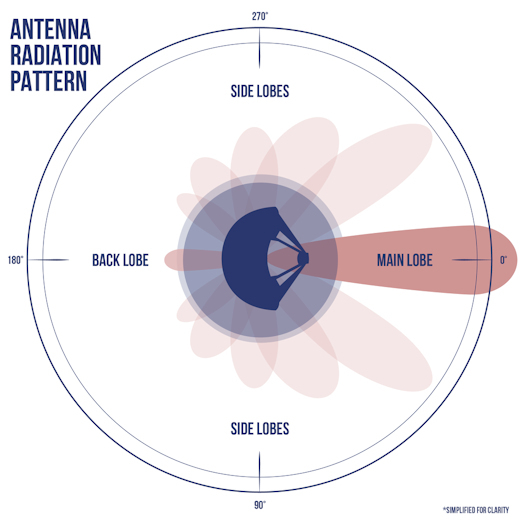 By developing a robust methodology for testing magnetoreception, Kirschvink says he hopes their study can act as a roadmap for other researchers who are interested in replicating and extending this research. 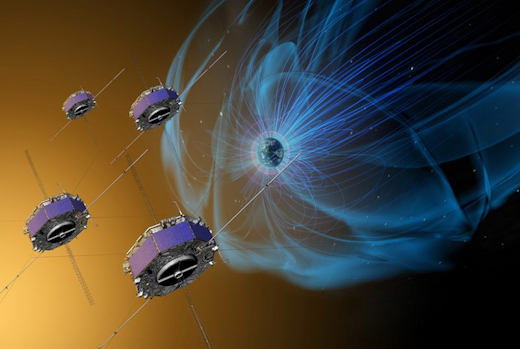 “The full extent of [magnetoreception] remains to be discovered,” he says. The original research may be read here.